During this month we have talked about several ways you can help and make a difference. Today let’s talk about what you can do IN WORLD!! Sure making a donation is wonderful and every linden counts. Sponsoring an Event or Walker is also a great way to help as well. Let’s take a few and focus on ways in-world to… VOLUNTEER! Just like most things in life one of the best gifts you can give is Yourself. Give your time and skills. Don’t get me wrong your online donations or lindens in a kiosk are GREAT! We appreciate every single linden and thank you all. Just think for a moment though, did you know in donating your time to plan an event, hosting, djing, or using skills you may have in writing, taking part in social media, blogging, creating items, or even using photoshop, can more than double or triple a donation? You giving of yourself by being part of the MSABC Volunteer group and sharing information and events with friends can help as well. Volunteering for the Strides Committee can produce thousands, maybe even hundreds of thousands of linden donations in kiosks all over Second Life. Our theme for the Strides Walks in SL is “Everyone leaves footprints, make yours count”. The same is true with your second life. We all come in to relax and have fun. We make great friends. Wouldn’t you like to know that even in your “downtime”, relaxing, and play around that you made it count? 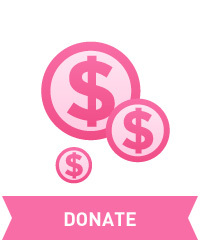 When you participate in a Making Strides in Real Life or Second Life, you’re helping to fund breast cancer research and give patients the things they need now: free rides to chemo, free places to stay near treatment, and a live 24/7 cancer helpline for answers and support. You may never know the names or see the faces of the ones you have helped but if you talk to Survivors and Caregivers in Second Life who have used these wonderful programs, you will get a sense of the difference you help make. In the next couple weeks, the Strides leaders will be asking for volunteers for next year. Please consider responding to that search for individuals and help make next year’s Strides bigger and better than ever. This entry was posted in american cancer society, making strides, second life and tagged #breast cancer awareness, #TEAMMSABCofSecondLife, ACS, american cancer society, awareness, breast cancer awareness month, cancer, caregivers, fundraising, Making Strides Against Breast Cancer, making strides against breast cancer across second life, mission, MSABC, survivors, volunteer, Ways to Help Wednesday on October 24, 2018 by lealaspire.